The Voice has been very good for Blake Shelton. The country star’s Based On A True Story… sold 199K copies in its first week, which is more than any previous Shelton album has sold in any one week. (He achieved his previous best when Red River Blue sold 116K copies when it debuted at #1 in July 2011). 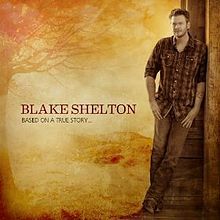 Prior to the launch of The Voice in April 2011, Shelton had never sold more than 77K copies of an album in one week. Based On A True Story enters The Billboard 200 at #3, behind Justin Timberlake’s The 20/20 Experience, which holds at #1 for the second week, and Lil Wayne’s I Am Not A Human Being II, which debuts at #2. Shelton’s album enters Top Country Albums at #1. It’s Shelton’s third #1 album on the country chart. It follows the 2010 EP All About Tonight and Red River Blue. 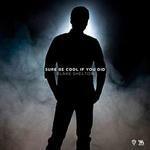 The first single from the album, “Sure Be Cool If You Did,” is expected to log its sixth week at #1 on Hot Country Songs. That would be the longest run at #1 for a hit by a male artist since Keith Urban’s “Better Life” spent six weeks on top in the fall of 2005. (Urban, of course, is also a star of a music reality show. He’s a judge on American Idol.) A sixth week on top would also allow “Sure Be Cool If You Did” to surpass Shelton’s 2001 smash “Austin” as his longest-running #1 country hit to date. Shelton was a surprise winner for Entertainer of the Year at the Country Music Assn. Awards in November. (He beat the expected winner, Taylor Swift, as well as Jason Aldean, Kenny Chesney and Brad Paisley.) Can he repeat that victory November? Place your bets. Incidentally, if the title of Shelton’s album seems familiar, it should: 2 Chainz’s Based On A T.R.U. Story debuted at #1 in August 2012. 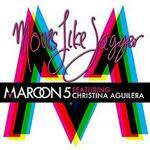 Both of the top two albums on this week’s Billboard 200 are by former teen stars who are now superstars in their 30s. Justin Timberlake was 17 in August 1998 when he first hit the top 10 with *NSYNC. Lil Wayne was just 16 in August 1999 when he first hit the top 10 as a member of the New Orleans rap collective the Hot Boys. The 20/20 Experience sold 115K digital copies this week. It’s only the second album to top 100K in digital sales in each of its first two weeks. 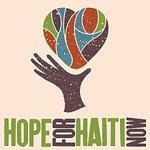 It follows the all-star Hope For Haiti Now, which achieved the feat in January 2010. It had an advantage. It was a digital-only release. 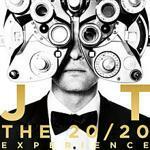 The 20/20 Experience has sold 558K digital copies in two weeks. That’s more than FutureSex/LoveSounds has sold to date (422K). 20/20 also logs its second week at #1 on The Official U.K. Chart. It’s the first album to log two or more weeks at #1 in both countries since Mumford & Sons’ Babel spent five weeks at #1 in the U.S. and two weeks at #1 in the U.K. It’s the first album by an American artist to log two or more weeks on top in both countries since Beyonce’s 4. If 20/20 winds up as the best-selling album of 2013 (I know, it’s a little early to think about such things, but I write Chart Watch; I can’t help it), it will be the second time that Timberlake has had the #1 album of the year. 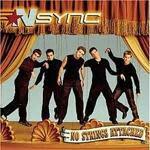 With *NSYNC, he had the best-selling album of 2000 with No Strings Attached. Timberlake would become the third artist in the Nielsen SoundScan era to have the best-selling album of the year twice. Eminem scored in 2002 with The Eminem Show and in 2010 with Recovery. Adele scored in both 2011 and 2012 with 21. 20/20 is very likely to receive a Grammy nomination for Album of the Year. Timberlake’s first two albums, Justified and FutureSex/LoveSounds, were both finalists for the honor. This would make Timberlake the first former group member to be nominated in that category for his or her first three solo albums. He would pull ahead of Donald Fagen and Sting, each of whom was nominated for his first two solo albums. *NSYNC didn’t have a fraction of the credibility of the groups that spawned Fagen and Sting—Steely Dan and The Police, respectively—which makes Timberlake’s achievement all the more impressive. I Am Not A Human Being II is Lil Wayne’s 11th top 10 album (counting a 1999 album with the Hot Boys and 2006 collabo with Birdman). The first I Am Not A Human Being debuted at #2 in October 2010 as a digital-only release. It rose to #1 in its third week, after the CD was released. 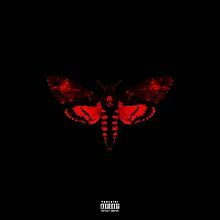 I Am Not A Human Being is Lil Wayne’s second franchise to spawn two or more top five albums. He has also reached the top five with all four editions of Tha Carter. I Am Not A Human Being II sold 115K digital copies this week. The first I Am Not A Human Being sold 110K digital copies in its peak week. OneRepublic’s third studio album, Native, debuts at #4. It’s the group’s first top 10 album. Dreaming Out Loud reached #14 in 2007. Waking Up hit #21 in 2009. Jackson is one of the few secular artists in chart history to reach the top five with two or more spiritual albums. “Tennessee” Ernie Ford scored with three such albums in 1957-1958: Hymns (#2), Spirituals (#5) and Nearer The Cross (#5). Ford was a huge star in the 1950s. Even if you’re too young to remember his #1 smash “Sixteen Tons,” you probably remember his appearances as Cousin Ernie on I Love Lucy. Ford died on Oct. 17, 1991—which, as it happens, was Jackson’s 33rd birthday. Depeche Mode’s 13th studio album, Delta Machine, debuts at #6. It’s the band’s seventh studio album in a row to make the top 10. The English band released its first album, Speak & Spell, in November 1981. The band first reached the top 10 with Violator in 1990. P!nk’s The Truth About Love drops from #5 to #7. The album tops the 500K mark in digital sales this week. That’s more than P!nk’s previous studio album, Funhouse, has sold to date (401K). P!nk achieves two other notable feats this week. She tops the 15 million mark in career album sales. And her smash, “Just Give Me A Reason” (featuring Nate Ruess) tops Hot Digital Songs for the second week in a row (286K). Will it jump from #6 to #1 on the Hot 100? 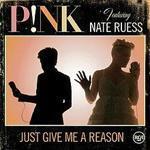 (It would be P!nk’s fourth #1; Ruess’ second.) You’ll find out later today when we post Chart Watch: Songs. The Top Five: Justin Timberlake’s The 20/20 Experience is #1 for the second week (318K)… Lil Wayne’s I Am Not A Human Being II debuts at #2 (217K). It’s his 11th career top 10 album…Blake Shelton’s Based On A True Story debuts at #3 (199K). It’s his seventh top 10 album…OneRepublic’s Native debuts at #4 (60K). It’s the group’s first top 10 album…Alan Jackson’s Precious Memories, Vol. II debuts at #5 (55K). It’s his 12th top 10 album. The Second Five: Depeche Mode’s Delta Machine debuts at #6 (52K). It’s the band’s seventh top 10 album…P!nk’s The Truth About Love drops from #5 to #7 in its 28th week (49K). This is its 10th week in the top 10… Imagine Dragons’ Night Visions drops from #6 to #8 in its 30th week (47K). This is its sixth week in the top 10…Bruno Mars’ Unorthodox Jukebox drops from #3 to #9 in its 16th week (47K). It has been in the top 10 the entire time… The Strokes’ Comedown Machine debuts at #10 (41K). It’s the band’s fourth top 10 album. 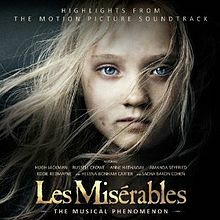 Les Miserables drops from #8 to #16. It’s #1 on the Top Soundtracks chart for the seventh week. Five other albums drop out of the top 10 this week. Kacey Musgraves’ Same Trailer Different Park dives from #2 to #31. Luke Bryan’s Spring Break…Here To Party drops from #4 to #12. Bon Jovi’s What About Now drops from #7 to #34. Mumford & Sons’ Babel drops from #9 to #14. Rihanna’s Unapologetic drops from #10 to #17. Thompson Square’s sophomore album, Just Feels Good, debuts at #13. It’s the country couple’s second top 15 album. Thompson Square reached #15 in 2011…Sevendust’s ninth studio album, Black Out The Sun, debuts at #18. It’s the band’s seventh top 20 album. 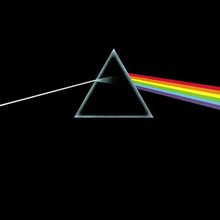 Pink Floyd’s The Dark Side Of The Moon vaults from #114 to #28 in its record-extending 829th week on the chart. The album owes its surge to a $2.99 sale at Amazon MP3. (Sweet deal.) The album first cracked the top 30 in the issue dated March 31, 1973 (which was its third week on the chart). This is the album’s 23rd week at #1 on Top Catalog Albums (since 1991, when Nielsen SoundScan began tracking sales for Billboard). First Quarter: This week marks the end of the first quarter of 2013. Three albums sold 500K or more copies during the quarter, the same number as in the first quarter of last year. One (The 20/20 Experience) made it to 1 million, the same number as in the first quarter of last year. But none made it to 2 million, as Adele’s phenomenal hit 21 did in the first quarter of 2012. The second and third best-sellers so far this year are Mumford & Sons’ Babel (693K) and Bruno Mars’ Unorthodox Jukebox (661K). Shameless Plug: Fifty years ago this week, an original, audacious and gifted singer from Brooklyn entered the Billboard album chart for the first time. Barbra Streisand, who was not yet 21 when her debut album charted, was unconventional from the start, from the quirky way she altered the spelling of her first name to the defiant way she refused to alter the shape of her nose. 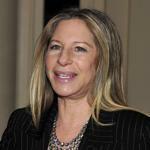 Remarkably, 50 years later after her debut, Streisand continues to hold many of the most coveted records pertaining to female vocalists. We posted a Chart Watch Extra on Monday in which I look at those records. G.I. Joe: Retaliation was #1 at the box-office over the weekend. R.I.P. Phil Ramone won 14 Grammys, including three awards for Album of the Year. He won for producing Billy Joel’s 52nd Street and for co-producing Paul Simon’s Still Crazy After All These Years and Ray Charles’ Genius Loves Company. Only one other producer (David Foster) has won Album of the Year three times for work with three different artists. In addition, Ramone was the engineer on a fourth Album of the Year winner, the 1964 jazz classic Getz/Gilberto. Ramone, who was a kind man as well as a great producer, died on Saturday. He was 79. Iron Maiden’s Maiden England ’88 is #1 on Top Music Videos. Coming Attractions: The Band Perry’s Pioneer is set to enter the chart at #2 next week, with sales in the 110K range. Three other albums are eyeing top 10 debuts: Tyler, The Creator’s Wolf (at #3, 85K), New Kids On The Block’s 10 (at #6, 45K) and Killswitch Engage’s Disarm The Descent (at #7, 45K). Also due: Bring Me The Horizon’s Sempiternal (at #13, 27K).